HelpHound Blog: The Times criticises Trustpilot and two of their high-profile clients - but why would any business use an independent reviews site instead of Google anyway? 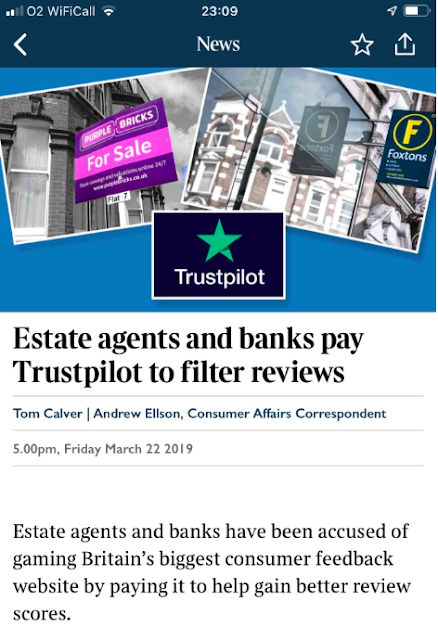 The Times criticises Trustpilot and two of their high-profile clients - but why would any business use an independent reviews site instead of Google anyway? Many of you will have seen this article in the TImes on Saturday. If you did not here is a link here for subscribers or you can always email info@helphound.com and we will send you a full copy of the text. 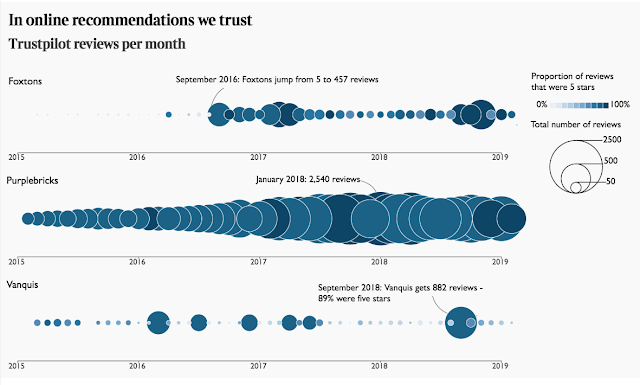 They have used this to illustrate unusual patterns of review writing. But are they missing a bigger point? Why use an independent reviews site, instead of Google, in the first place? The answer is simple: fear. Negative reviews? No, because everyone has the right to criticise a business - and that's enshrined in the CMA regulations, which have the force of law. 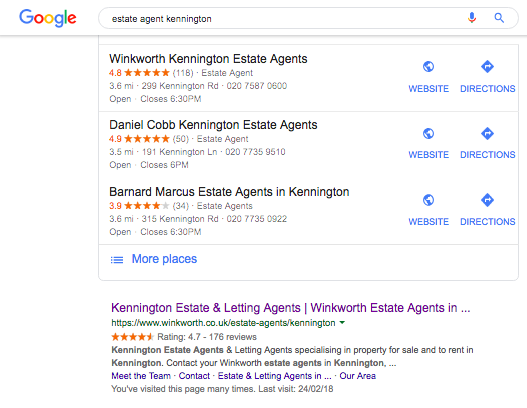 If a review is 'unfair' - the wrong agent has been blamed, or the wrong party in a complex transaction, for instance - this will come out in moderation. Let's be clear: the reviewer always has the right to publish whatever review they wish to, but most reasonable people, when our moderators forward the business's response highlighting the misconception, will either modify their review or decide not to publish it. The same. We see cases every day where the customer has mistaken the price quoted for a service, or the terms of business for the business under review, and are delighted to be able to modify their review pre-publication. Business's have to accept that consumers have a right to publicly comment - it's enshrined in the CMA regulations apart anything else. But that does not mean that businesses should not do everything legitimately in their power to ensure the accuracy of their reviews, and that's where HelpHound comes in. HelpHound enables businesses to invite reviews to their websites which are then moderated; the authors of every review published on the business's website are then invited, automatically, to copy their review to Google. Not 'perfect', but as good as they deserve to, without bringing the spotlight of media criticism - or CMA action - upon themselves.